Swindlers Exploit Confusion Over Health Care Law Consumer advocates were bracing for a surge in swindlers hoping to take advantage of Americans confused by what the new health care law means for them. They didn't have to wait long. Scams are already focusing on provisions of the bill set to take effect near term. Consumer advocates were bracing for a surge in swindlers hoping to take advantage of Americans confused by what the new health care law means for them. They didn't have to wait long. Days after President Obama signed the $938 billion bill into law, a cable television advertisement exhorted viewers to call an 800-number so they wouldn't miss a "limited enrollment" period to obtain coverage available "now that historic health care legislation has passed." And there have already been reports of door-to-door salespeople peddling "Obamacare" insurance policies. There is, of course, no limited enrollment period for any coverage, and no such thing as a new federal insurance policy named after the president. But slap "health care reform" on a scam, says James Quiggle of the Coalition Against Insurance Fraud, and there's a "pretty good chance you can get away with it." The Coalition Against Insurance Fraud has characterized the nation's current economic climate as having created a "perfect storm of vulnerabilities" for consumers, from millions of uninsured Americans and stubborn unemployment, to the rising cost of health insurance premiums. Add to this the uncertainty over what the new health care law does and doesn't do. "Confusion," says the organization's James Quiggle, "is a crook's best friend." Some scam warning signs to look for? Invasive sales pitches, pushy pitchmen, evasive answers, a requirement to join an association or union to get coverage, or a deal that just seems flat-out too good to be true. Consumers with questions about an insurance plan they are being pitched are advised to go slow — and to contact their state insurance commissioner's office to see if the outfit doing the selling is licensed by the state. Contacts for all state insurance commissioners are available from the National Association of Insurance Commissioners. The organization's former president, Sandy Praeger, now Kansas state insurance commissioner, advises that small business owners, who will soon be eligible for insurance tax credits, should also be on the alert for swindlers. "Bogus health plans have been circulating during the downturn in the economy, and health care reform just gives them another sales hook to fleece consumers who are anxious for an affordable deal," he said. "There will be a lot of confusion about what health reform does and doesn't do," Quiggle says, "and that's the vacuum that swindlers will try to exploit." Using too-good-to-be-true insurance deals to separate desperate — and sometimes gullible — people from their money is nothing new, as Quiggle notes. 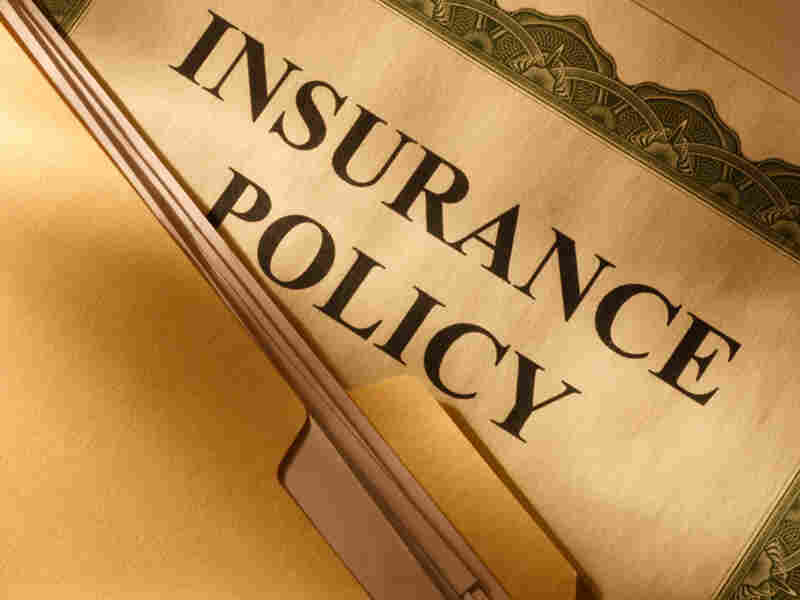 Indeed, his organization and others, including the National Association of Insurance Commissioners (NAIC) have been tracking the upswing in insurance scams during the current economic downturn. But that booming scam market got a definite boost from the bitter and divisive debate over the new legislation, which "created a lot of mistrust about what the new bill does," says Sandy Praeger, Kansas state insurance commissioner and former president of the NAIC. Confusion about the new law has been compounded by the staggered timetable for many of its initiatives — a number of major changes won't go into effect for years — and by the delay between the bill's signing and the completion of regulations that will tell federal and state officials how to proceed on its initiatives. However, the new law does call for near-term changes and benefits — and swindlers are expected to target those immediately, says Sally Hurme, senior project manager for health education at the AARP. "The fraudsters read the headlines just like anybody else and see if there's an opportunity," Hurme says. "They'll take a realistic chunk of what's in the news — and in the law — and twist it so the money comes to them." The payment is designed to cover the "doughnut hole" gap in Medicare drug coverage. Expect opportunists to target recipients with promises to expedite the reimbursement — for a price. Similar scams emerged late last year, when Obama announced that Social Security recipients would receive a one-time $250 payment in lieu of a 2010 cost-of-living increase. Reimbursement from the government, consumer advocates stress, cannot be expedited by a middleman. Under the new law, officials have 90 days to create the program, which will be preceded by "official announcements from the federal and state governments," Hurme said. In the interim, however, consumers could be vulnerable to swindlers attempting to sell policies for a program that doesn't yet exist — and for which no regulations or forms have yet been developed. The rule won't go into effect until late September, giving scammers a window of opportunity to peddle policies that parents won't need. "I can imagine that someone out there will try to sell 'young adult insurance' as a specific plan," Hurme says, but such separate coverage would be superfluous. Under the law, insurance companies are simply obligated to allow children up to age 26 to be added to existing policies. "You don't go out and buy a new policy to do this," she said. The new health care law has allocated resources for fighting health care fraud, including money for consumer education and for investigative resources for state and federal officials. But scams are ever-evolving, and swindlers are elusive. And even if they are successfully pursued and prosecuted, there's rarely, if ever, any money left to reimburse harmed consumers. So, as always, consumer advocates say, it is up to individual consumers to educate themselves — and to resist the aggressive tactics typically employed by those who would like to take their money for a worthless product. "Go slow," Quiggle says. "Back off if the deal seems too good and too enticing. And call your state insurance department to see if the dealer is even licensed to do business in your state." "If a pushy marketer tries to convince you to sign on the dotted line, or take your credit card or bank number, hang up," he says. "The so-called deadline-for-signup ruse is one of the oldest cons in the books. Roger Sevigny, New Hampshire's insurance commissioner, advises: "Stop, call and confirm." And about that television ad warning of the enrollment deadline? Calls this week to the 800-number were first routed to voicemail, and later, to a disconnected number. But no one likely will ever know how many calls were answered and how many credit card numbers taken before the scam — and scammers — moved on.